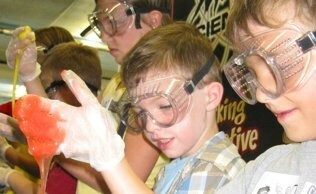 Make your Science Night or STEM Night a Blast! We come to you! 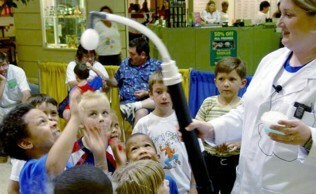 Mad Science programs are a great addition to your school's science night. We offer both shows which are perfect to enterain and engage your whole group at once and interactive booths which add hands-on experiences to your event. Have us for a show, a booth, mulitiple booths, or a combination based on your budget and needs.